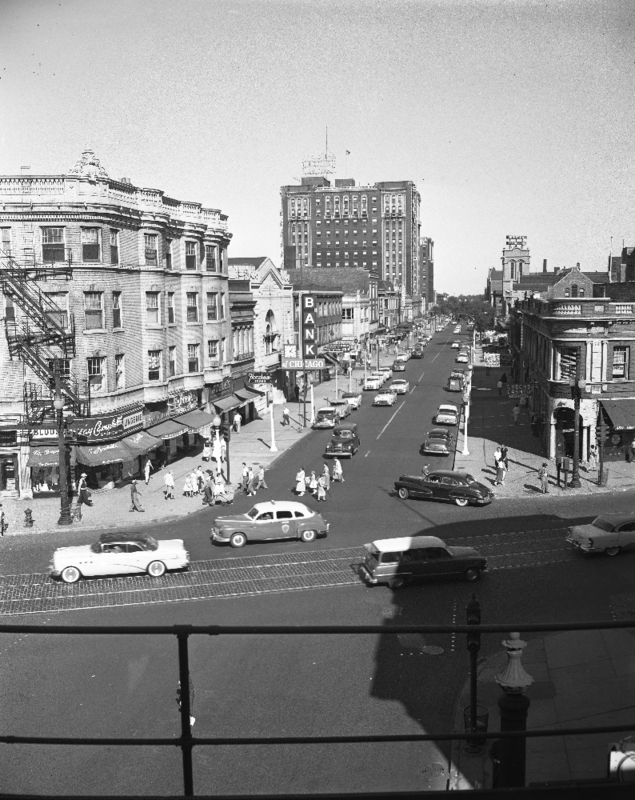 Wilson and Broadway in 1955, with all those gorgeous old buildings still intact. Seriously, vintage views of this stretch always make me want to weep. What a beautiful block it once was. Note: When you follow these links and shop eBay, we earn a teeny-tiny portion of the sale, which helps us buy these images ourselves and share with community members. Hi Cheap Tickets! Did you grow up on Wilson? I don't have a photo, but I vaguely remember going to Bissett's with my grandmother when I was a very little girl, ca 1940-1941. I was most fascinated by the pneumatic tubes that took money, etc. to & from the office upstairs. And I remember the handsome wood & glass cases of goods. The photo is wonderful!